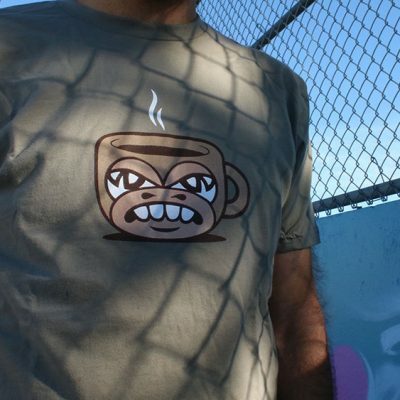 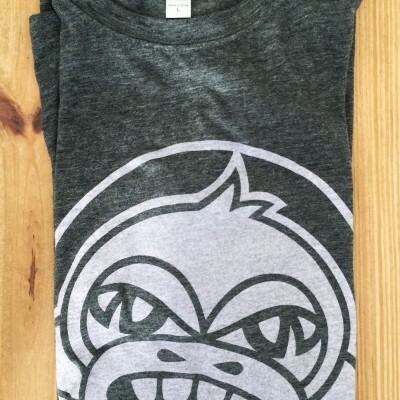 Rock the comfortable Thai Fresh Monkey t-shirt. 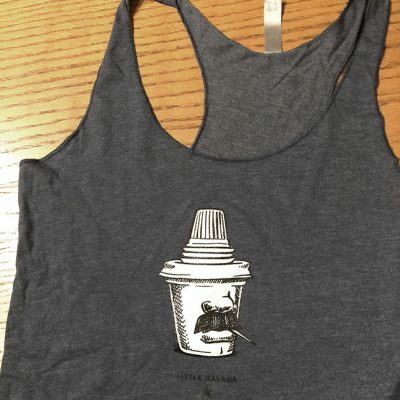 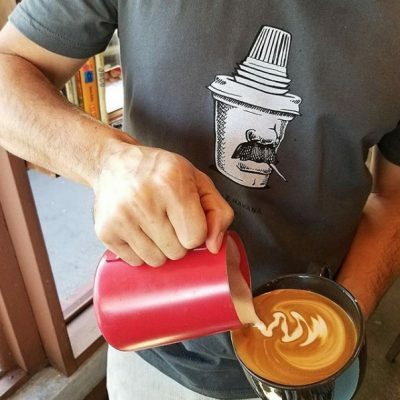 This soft cotton T-shirt is a comfortable fit. 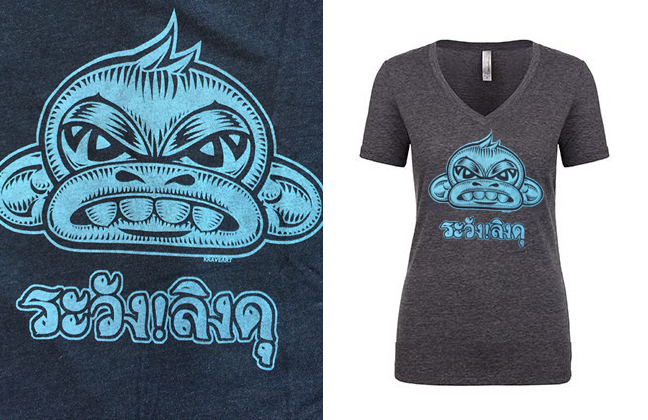 The lettering says, “Beware of the fierce monkey!” In Thai.